The $50,000 first prize winner is WaterSHED (@watershedasia), an NGO that engages local enterprises and governments to develop sustainable, market-based approaches to effective water and sanitation provision in Cambodia, Laos and Vietnam. An estimated 1.8 million households in rural Cambodia do not have access to safe sanitation. WaterSHED's research demonstrates that Cambodians desire a shelter for sanitation facilities and will not purchase a latrine without an appropriate accompanying structure. Prize money will be used for WaterSHED's "Introduction of improved toilet shelter for increased sanitation coverage" project, developing shelters for sanitation facilities which are acceptable to local communities. The $25,000 second prize winner is Gadgil Laboratory at the University of California, Berkeley, for its "Sustainable and scalable arsenic remediation of groundwater in South Asia" project. Deaths and disease are linked to high levels of naturally occurring arsenic in untreated groundwater throughout South Asia. Through their invention, Electro-Chemical Arsenic Remediation, Gadgil Laboratory will bring safe water to local communities in West Bengal, where arsenic contamination of groundwater is rife. The technology uses ordinary steel plates and low DC voltage. Prize money will be used to establish a 15 month field trial for approximately 2,500 school children, with excess arsenic-free water sold to the village community. This year also saw the award of the first-ever WASH Alliance prize of $15,000 for the third place project. The WASH Alliance is a consortium of six Dutch NGOs promoting hygienic use of sustainable water and sanitation. The WASH Alliance is providing all three winners with relevant training and professional development up to $ 2,500 each. They also get access to Elsevier's ScienceDirect database, with over 57,000 articles on Environmental Sciences, for one year.The recipient was Text to Change (@texttochange), an NGO that produces innovative mobile solutions for development, for its "WaterMonitor: Managing water supply and engaging communities at scale" project. The UN Joint Monitoring Programme has estimated that water points in Africa fail between 30 percent to 60 percent of the time. Text to Change will use smartphone technology to map Uganda's water points and alert experts when repairs are needed in order to extend the life of the country's water points. The prize money will be used to map water points and educate 15,000 people on issues related to safe water, hygiene, and sanitation. From 140 original applications, a shortlist of five candidates was chosen; the winning projects are replicable, scalable, sustainable and innovative; emphasizing solutions with practical applicability. 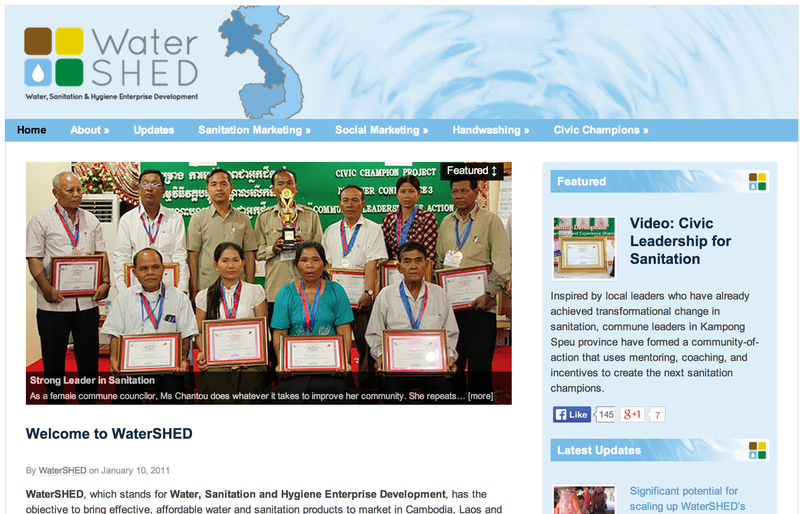 "We are proud to support this year's important winning projects, which harness advanced thinking in design, technology and community involvement, to address the need for reliable sanitation and water for thousands in the developing world," said Youngsuk "YS" Chi, Director Corporate Affairs at Reed Elsevier and Chairman of Elsevier, at the ceremony in Stockholm. "At Reed Elsevier, we produce scientific material which we are making available to the winners to progress their work. We are delighted the Environmental Challenge adds three powerful new water and sanitation initiatives to four great projects we've supported over the last three years." The Challenge's distinguished panel of judges includes Dr. Sarah Bell, Senior Lecturer in Environmental Engineering, University College London; Professor Mark van Loosdrecht, Department of Biochemical Engineering, Delft University of Technology; Dr. Prasad Modak, Executive President, of India's Environmental Management Centre; Professor Gang Pan, Research Center for Eco-environmental Sciences, Chinese Academy of Sciences; and Engineer Hanny Maas, Programme Manager of the Dutch WASH Alliance. The projects will be featured in the Elsevier Journal of Water Research. Reed Elsevier is Elsevier's parent company. The RE Environmental Challenge was launched in 2011 to contribute to the Water for Life Decade, established by the UN General Assembly between 2005 and 2015 in order to reduce by half the proportion of the population without sustainable access to safe drinking water and basic sanitation.Learn more on the RE Environmental Challenge website. <p>I am suresh kumar, an income tax officer in chandigarh.